The focus of Paul’s law practice is business/corporate, probate/probate litigation, trusts & estates and mediation. 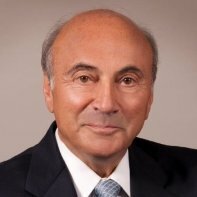 As a former trial court judge, Paul encourages alternative dispute resolution and serve as a mediator and arbitrator in business disputes, real estate, personal injury, employment, marital and probate cases. Paul served as a Trial Court Judge for 20 years. During his time on the bench, he heard and decided a wide variety of civil cases and, in his judicial capacity, mediated numerous matters to resolution. With over 38 years as a lawyer in private practice, Paul brings experience and perspective to mediation to assist parties and counsel in achieving settlement. To contact Paul Sr., e-mail pkfourysr@trombleykfoury.com or call him direct at 603.782.0059.